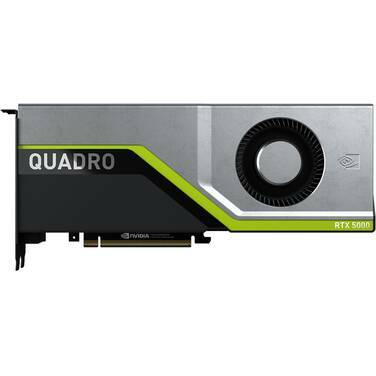 Shatter the boundaries of whats possible with NVIDIA Quadro RTX 5000. Powered by the NVIDIA Turing architecture and the NVIDIA RTX platform, it fuses ray tracing, deep learning, and advanced shading to supercharge next-generation workflows. Creative and technical professionals can make more informed decisions faster and tackle demanding design and visualization workloads with ease. 1 x USB-C (Virtual Link), 4 x DisplayPort ONLY WHILE STOCKS LAST!